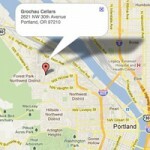 Join us for the inaugural SOBCon Northwest Kickoff Party! 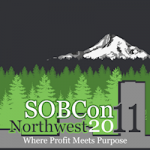 The fall season welcomes the first-ever SOBCon Northwest conference to Portland, Oregon. So, to roll out the SoMe welcome wagon, Portland’s chapter of the Social Media Club is joining SOBCon to host a conference kick-off celebration. At 6:00 PM on the evening September 15th, 2011, the kickoff will be hosted at Grochau Cellars, where visitors who “Experience Winemaking Without The Drive” will gather for wine, food and fun! For $10 admission (which is just about the price of a single glass of an awesome vino! ), or $20 at the door, you can rub elbows with many of the speakers, conference organizers, the Club’s Board and other special guests. You may even hear a few words from some of the speakers while you tour the urban winery and hear the wine makers story. Light nosh’s will be provided and there’s no doubt that countless dinner plans will materialize amongst the attendees, so you won’t want to miss this event! 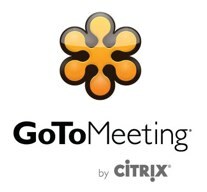 UPDATE: We want to thank GoToMeeting by Citrix, as well as Emma for helping us bring the awesome Koi Fusion to the event! SOBCon Northwest, sibling of the wildly popular and “life changing” event, is being held at Portland’s Ambridge Event Center, on NE MLK Jr. Boulevard, happening on September 16th and 17th of 2011. What’s more, rumor has it that attendees to the kickoff who have missed the early-bird registration may be eligible for a super-sweet offer from the conference organizers, available only to attendees of the kick-off. SOBCon focuses on strategies and tactics for merging your online and offline worlds into successful businesses. The conference founders, Liz Strauss and Terry Starbucker, created the conferences to help “…connect businesses to the planet and the people who live on it”, where business models that work for profit AND for social good are the main topics of discussion. SOBCon NW will feature the same “Models & Masterminds” format originated by the Chicago SOBCon, with 6 models and masterminds work sessions, 4 interviews, 4 special presentations, and a 1/2-day non-profit “give back” event. Established in 2002, Grochau Cellars sees itself firmly anchored to our Oregon homeland, where they approach each vintage with the same goals: Create complex, genuine wines true to their origins and to the distinct flavors of Oregon. GC is the project and passion of John Grochau, and his wife Kerri. John was fortunate enough to learn the trade from some of the Willamette Valley’s finest winemakers at Erath and Brick House Winery. Stay tuned, because Liz and Terry will also host a special evening social event on Friday, September 16th. There’s no doubt that attending the event will whet your appetite for more!